Nail polish is one of life's great pleasures. It comes in endless colors, and swapping out one design for another is relatively easy, except for the inevitable staining that occurs when removing a dark polish. Deep, rich colors seem to seep into skin and stay there for days no matter how hard you try to remove it – but there's a hack for that! If battling this problem has made you swear off bright nail polish, then the following video might change your mind. 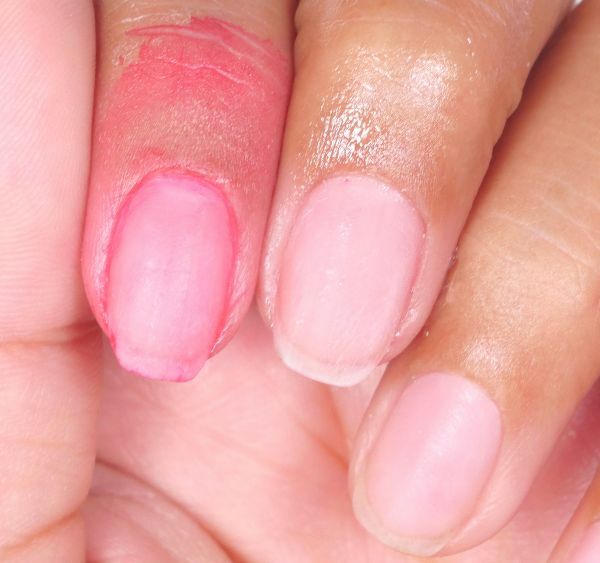 Most people aren't aware that applying a thin coat of petroleum jelly to the skin surrounding the nails will prevent pigment from staining the skin. When rubbed into the skin ahead of time, the jelly acts as a barrier and keeps the polish from transferring. Watch it in action and try it the next time you're removing dark nail polish. 1. Apply a thin layer of petroleum jelly to the skin surrounding each nail before attempting to remove nail polish. 2. Dip a cotton ball in acetone and wipe it from the nail cuticle to the tip to remove polish. 3. Wash and dry the nails.